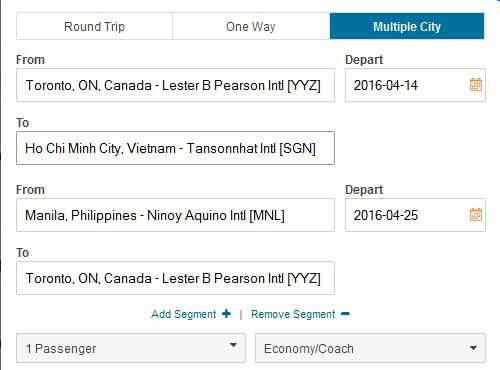 There's an interesting multi-city deal, where you can fly from Toronto to either Vietnam or Indonesia and then fly home from Manila, Philippines - for just $701 to $767 CAD including taxes. If you spot any other cheap date combinations not listed here, help out your fellow traveler and comment below. 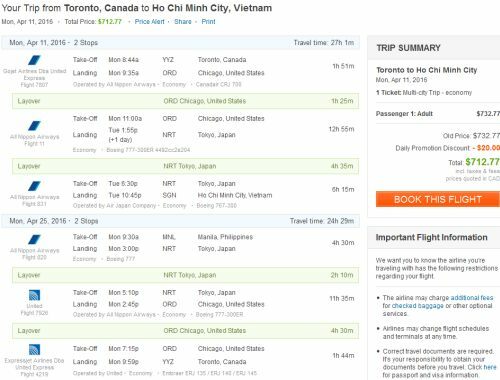 toronto, yyz, flight deals, asia, southeast asia, manila, philippines, mnl, united airlines, indonesia, jakarta, cgk, ho chi minh city, saigon, vietnam, sgn, ana all nippon airways and air japan.